Britain’s biggest animal charity calling on the government to ban the slaughter of all conscious animals, even if it goes against religious beliefs. The RSPCA and the British Veterinary Association are urging parliament to repeal the legal exemption that permits animals to be slaughtered without pre-stunning, because it causes them unnecessary pain and suffering. Shocking figures revealed more than 120 million animals were slaughtered in 2017 annually without being first stunned, meaning they were conscious and fully aware when their throats were sliced. Practising Jews and Muslims are urged to consume animals that have been slaughtered in specific ways, that would lead to them being deemed Kosher or Halal. The most common method is not stun the animal first, but certain leaders in both religions have ascertained that followers may still eat them if they have been stunned in a specific way. The most recent FSA figures showed 118 million meat poultry, three million sheep and goats and 24 thousand cattle were slaughtered without pre-stunning. All animals slaughtered under the Shechita, for Kosher meat, were non-stunned as well as between a quarter and a third of Halal meat, according to the Food Standards Agency (FSA). The UK Government website states all animals must be stunned before slaughter unless an animal is being religiously slaughtered for halal or kosher meat. But the figures confirm it is possible for such religions to adopt pre-stunning methods when slaughtering animals for meat. Under Islamic law, animals for halal meat are slaughtered using a sharp knife to cut the animal’s throat in one swipe – severing its windpipe, jugular vein and carotid artery. The animal has to be alive and healthy, and blood is then drained out of the carcass. Animals slaughtered for Kosher meat are killed using the same method which must be performed by a Jewish Rabbi in a Kosher abattoir, who is licensed and specially trained. The RSPCA and British Veterinary Association (BVA) oppose non-stun slaughter and are urging the British government to repeal a legal exemption that allows such methods and ensure foreign trade deals do not include such meat. In an open letter to Environment Secretary Michael Gove, the BVA and RSPCA urged Parliament to change legislation in England which currently allows non-stun slaughter for religious purposes. It also called for further public transparency on this issue by releasing the comprehensive 2018 slaughter survey results which were set to be made public last autumn. They are calling for all meat to be labelled with the method of slaughter, including whether it is stunned or non-stunned, so that consumers are fully informed about the meat they are buying. In addition, they are calling for a ban on all exportation of meat from non-stunned animals or live animals destined for non-stun and an immediate post-cut stun for cattle, sheep, goats and deer to reduce the period of pain and distress. The letter also urges non-stun slaughter should only be permitted at levels that meet local religious community demand for this type of meat in the interests. 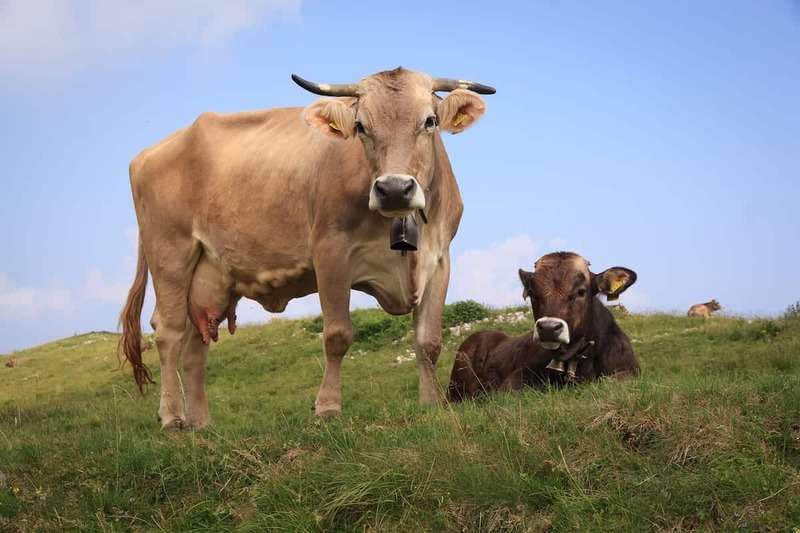 “There is a huge groundswell of support for a ban on non-stun slaughter, and recent developments in Belgium show that decisive change is possible where public support is matched by political will. “Michael Gove has made clear that he wants to maintain and build on the UK’s reputation as global leader on animal welfare; banning non-stun slaughter is a surefire way of showing he will deliver on this commitment.